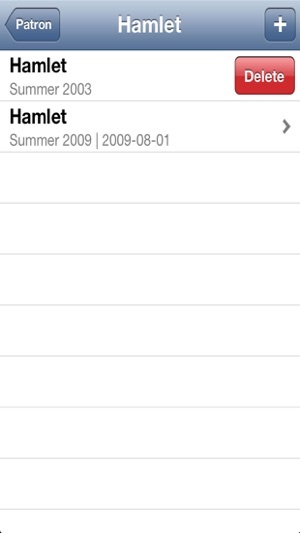 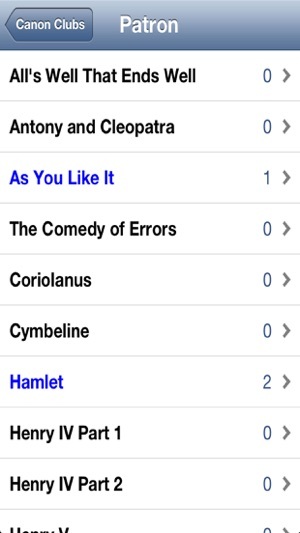 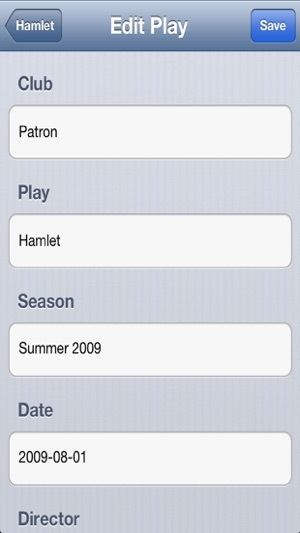 The Shakespeare Canon Club App is an easy way to keep track of which Shakespeare plays you have seen or been a part of in a theatre company. 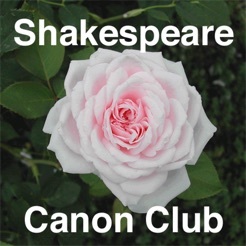 The different clubs available are Patron, Actor, Director, Designer, or Crew. 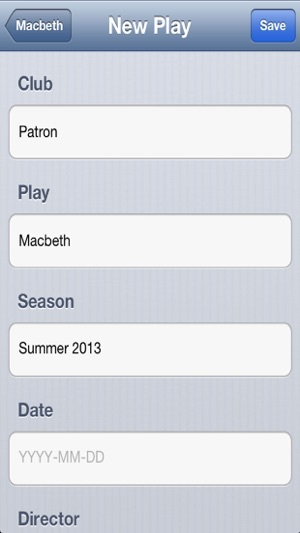 User entered information can be shared with other Apple mobile devices by using iCloud.